My teen boys, back a few years ago, spent a lovely schoolyear learning about Asia, Africa, and a whole lot about the 10/40 Window. My little ones (Trina is 8, Richard is 9) really haven't had a chance to learn anything about these areas, and it is something I really want to do again. Just not so intense. 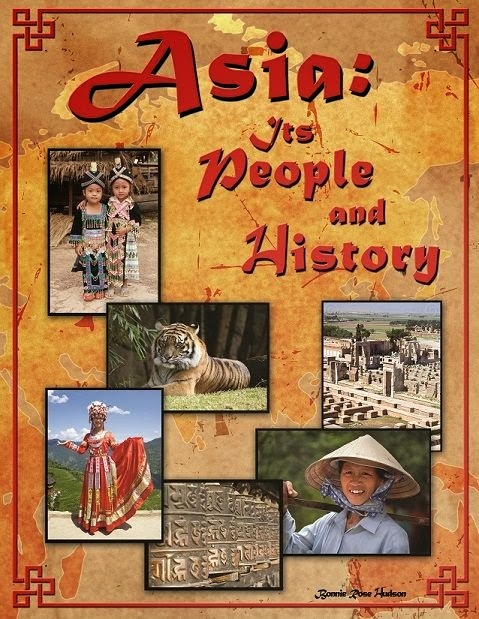 So Asia: Its People and History by Bonnie Rose sounded like it really could fit the bill and be just what I need. Sixteen weeks, six countries, sounds perfect, right? What I found is that this isn't something that I can use for sixteen weeks, but we do really like this resource. I sat down and immediately flipped to the Suggested Reading pages at the end of the book. Because I'm all about extra reading, and any unit study type of thing I've ever done has demanded that I add extra reading. I was thrilled to find that some of the suggestions were available online, and most were available at my library. I let my kids vote on a country -- Laos, Bangladesh, Nepal, China, Iran, or Vietnam. That is one beautiful thing about this study -- each country is an independent little unit, and you don't have to go in order. Good thing, too. My kids both begged for Vietnam. Vietnam is one of the countries that is scheduled for two weeks (Laos and Bangladesh are intended for four weeks, everything else is two), and I thought that would be perfect. Now here is where I was a little surprised. Week 15 has you reading and discussing "Through the Graveyard," a short story included in this book. We spent 15-20 minutes doing that, and had some fabulous discussion. Then I looked to see what we were supposed to do next, and I realized that was the extent of the entire week. We went ahead and grabbed a map, found Vietnam on a map, discussed where it was in relation to some other places we knew (Sochi and the Olympics, Japan, Korea) and called it a day. The next day, we started Week 16, which has history about Vietnam, and a section called "What Life Is Like for Christians in Vietnam." We read through both of those -- and loved them -- and then we turned to the activity page, where we were to unscramble facts about Vietnam. That was frustrating, as the majority of the questions were things that were not covered in any of the reading we had done within the unit. We still worked together to figure it all out. The following day, I pulled up the Suggested Reading selection online. We started working through that, and that definitely added to the experience and helped us to feel like we were really learning about Vietnam. After that one week on Vietnam, honestly, I was a bit frustrated. I wasn't really sure what to do with the rest of this study, or what to write in this review. So we took a week off. And I thought about it. And my kids started asking me questions about life in Vietnam, and they started asking questions about the Vietnam War. 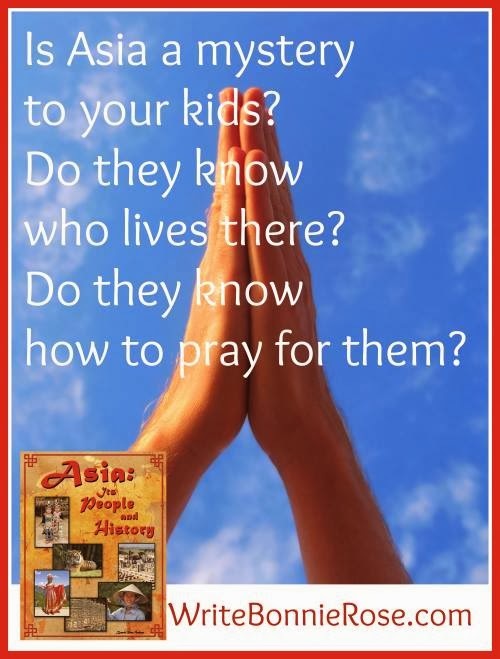 And when something came up in another setting about India, and it was mentioned that India is in Asia, the kids wanted to know if Christians in India are persecuted too. What I realized was that I was focusing on the wrong things with this particular book. I was focused on quantity, on them getting information. And while I thought the story was fantastic, really drawing my kids in and helping them to identify with Hao (the 16-year-old in the Graveyard story), and while I learned quite a bit from the history section, and while the portion about life for Christians was fascinating for all of us, it just didn't feel like enough. I still think it isn't enough -- but really, adding some time with a globe, or some additional reading isn't that hard. I wish maps were included for all of the countries. I wish there were some suggestions for other things that could be done, maybe some links to photos from the country or something. Now I also am appreciating the simplicity. The information and stories in this book are top-notch. The extra resources suggested are also pretty incredible. My attitude changed as we started Nepal. And my expectations were different as well. So my bottom line: this inexpensive resource is a great launching point for a truly neat study of a handful of countries in Asia, providing a great introduction and most particularly giving some of the things you aren't likely to find in the multitude of little picture books your library has with original names like Iran or Learning About Iran. Each country (except China) in this study has a section called "What Life is Like for Christians in..." Each country has stories about life for Christian men, women, teens or children. Each country has a history section that I ended up requiring my teens to listen to as well. That is probably the most surprising part for me. I ended up drawing my teens in to listen to this, and did the "extra stuff" with the younger two. I did not anticipate that. Bonnie Rose is also talking about a second volume, and that may be the other thing that surprises me as I'm at the point of writing this review. I'm likely to purchase that. Or you could win my giveaway! Disclaimer: As a member of the Bonnie Rose Hudson Promo Team, I received this book in exchange for my honest review and promotion. No other compensation was received. I am disclosing this information in compliance with FTC Regulations. So I guess I will be your first entry. Thanks for posting this on Facebook so I knew about it. Of course if being on the Crew makes me not allowed to enter that is okay too. Malaysia ot Thailand... we don't know much about either of those.